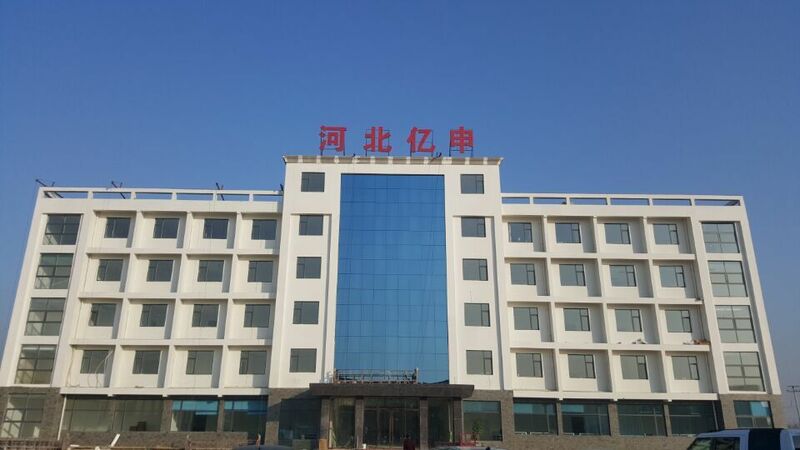 Find Gabion Box, Welded Wire Mesh Gabion Box, Galvanized Gabion Box on Industry Directory, Reliable Manufacturer/Supplier/Factory from China. Gabion is also called gabion bags, welded wire gabions, gabion welded stone fence. 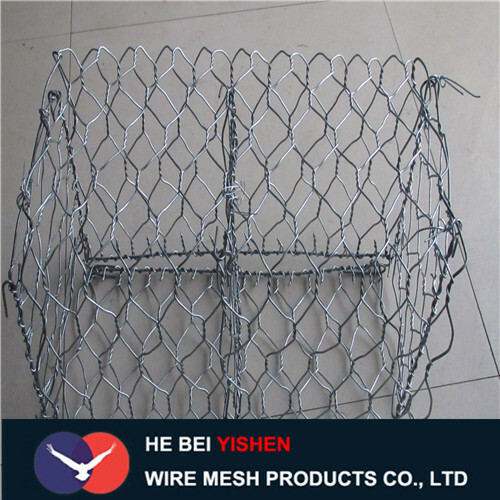 It is composed of welded mesh panel and spring steel lacing wire. Gabion Mesh can be built directly on packed soil without the need of heavy foundations, mortar joints and professional labor. The wire mesh gabions hold the stones neatly in place and they can be stacked one atop another to make walls as high as desired. Note that internal steel posts may be needed for stability. Add height and beauty with flower pots placed near or on the fence along with growing plants to add greenery to the stone wall. 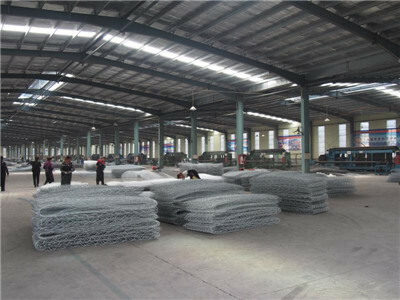 Gabion mesh(wire mesh gabion) are made of heavy hexagonal wire nettings. The wire diameter size depends on the opening size of heavy hexagonal wire nettings. hot-dipped galvanized, Zinc-Al alloy or PVC coated, etc. Economic. Just put the stone into the gabion and seal. Easily construct, no special technology needed. Strong capacity of withstand nature destroy, rust-resistance and atrocious weather resistance. Affording Large scale distortion, but never be defeated. 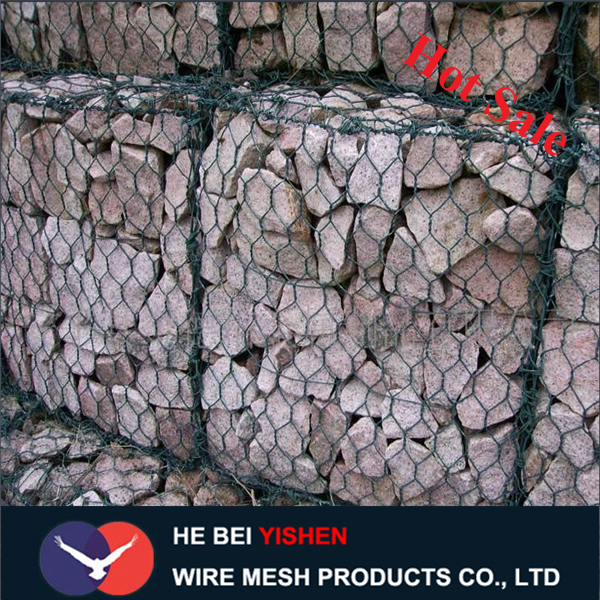 Hebei YiShen Wire Mesh Products Co., Ltd is located in the famous "hometown of wire mesh" Anping county. 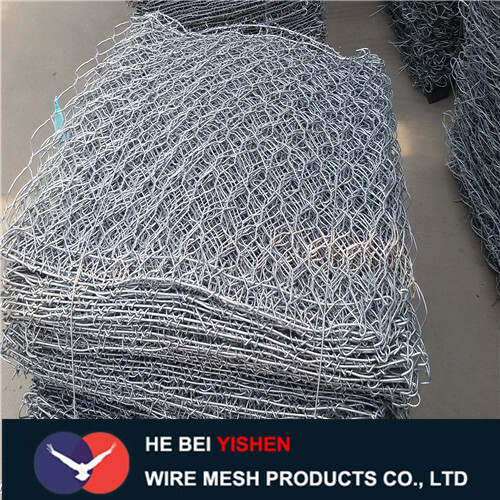 Our main products are gabion mesh, Wire Mesh Fence, Welded Wire Mesh, Stainless Steel Wire Mesh, Chain Link Fence, Hexagonal Wire Netting, perforated wire mesh, expanded wire mesh and various kinds of filter products. If you are interested in our products,feel free to contact us! Thank you!